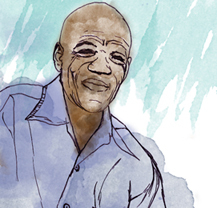 Vuyani Ntontela and Thamara Hela are community leaders in UT Gardens, an informal settlement of about 400 structures in Khayelitsha, Cape Town. UT Gardens forms part of UT section in Khayelitsha’s Site B. 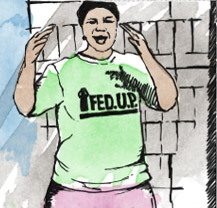 Since the community was introduced to the Informal Settlement Network (ISN) in 2013, Thamara explains that UT Gardens has been organising itself for upgrading. Yet she also speaks of one of the biggest challenges the community faces: on-going fires that ravage homes and livelihoods, the most recent of which occurred last month. 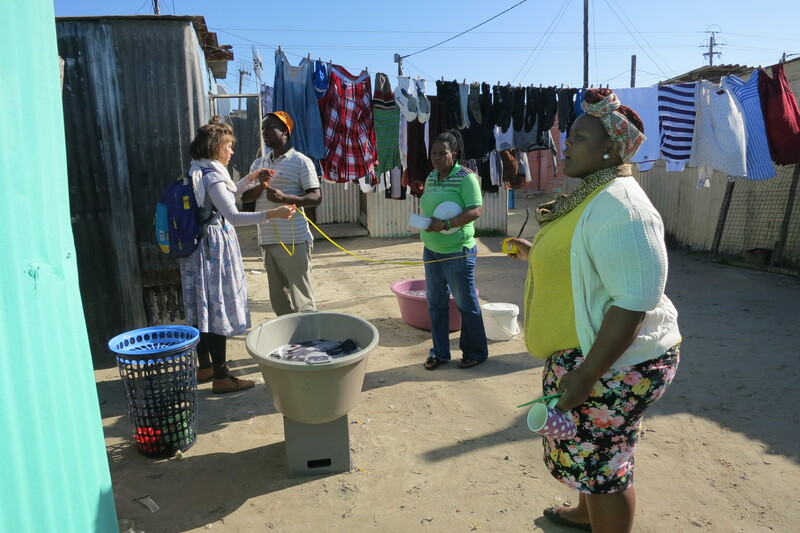 Since March 2014 Vuyani (chairperson of UT Gardens), Thamara and the rest of UT Gardens’ leadership committee (15 in total) have been building a relationship with ‘Lumkani’, a social enterprise that is focussed on overcoming the challenge of shack fires in urban informal settlements. 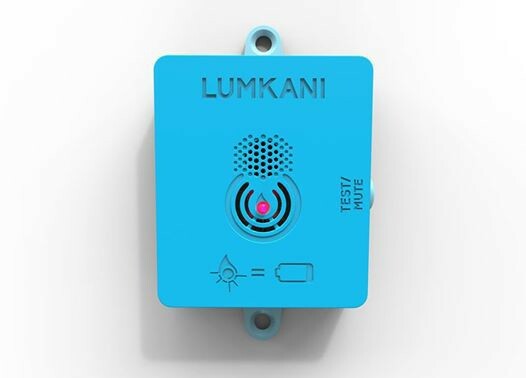 Lumkani has been developing a device that acts as an early-warning alert against shack fires. Thamara remembers how UT Gardens first heard about Lumkani through ISN and the Community Organisation Resource Centre (CORC). Emily elaborates that Lumkani was interested in developing the device through a deep-participatory approach that values horizontal learning. This means: inclusive design solutions and continuous innovation driven by testing and feedback. 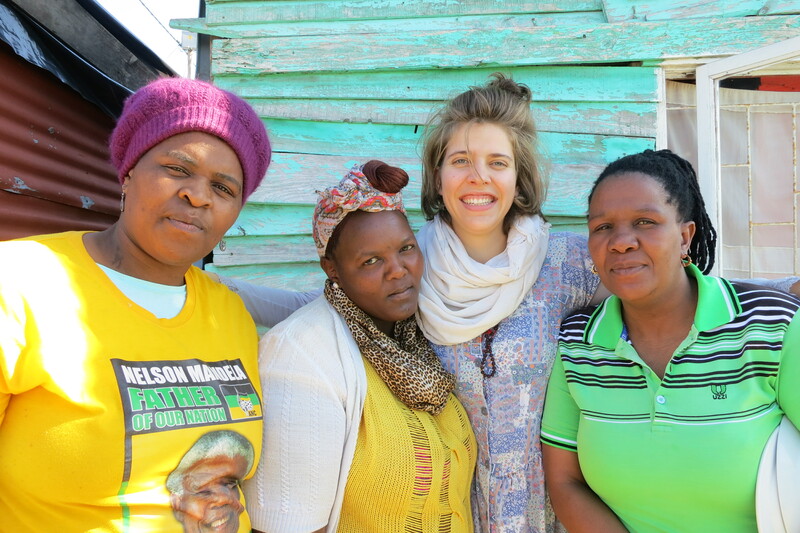 Both Emily and David emphasise how the community’s guidance was key, especially during on-site meetings with Max Basler, Lumkani’s industrial designer and Samuel Ginsberg, Lumkani’s technical director. It was during the first meetings with the community that the Lumkani team became aware of the need for a community wide and –networked device that could share information as fast as possible. 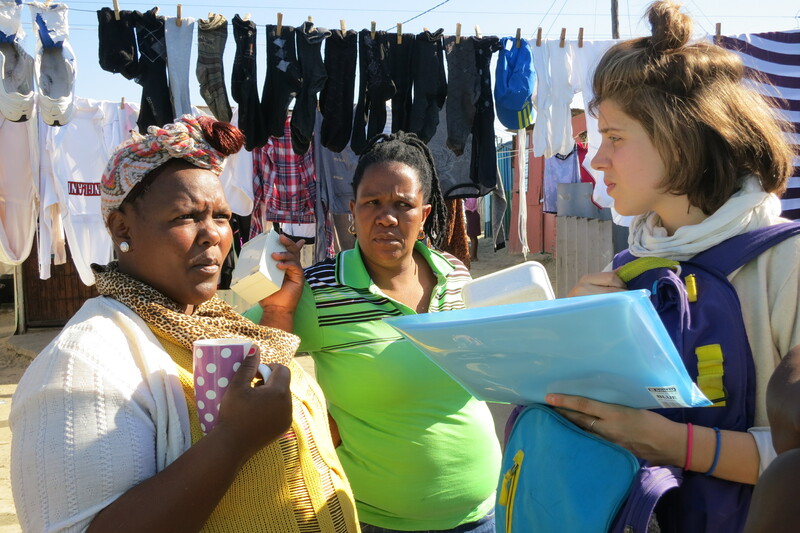 Apart from on-site meetings, Lumkani formalised its community research in a short 12 question survey distributed to about 70 households in order to better understand how the community is affected by and responds to shack fires. At the moment the device is in a general testing phase – which includes technology tests and a sound test that took place last week, for which the first ten devices were installed. The pilot is set to begin in October 2014 and will seek to test 2000 devices in four high fire risk communities in Cape Town, one of which is UT Gardens.